Bangalore: Venture capital, or VC, firms confronting the risk of exhausting their cash are shying away from deal making this year although demand for funding from start-ups remains strong, investors say. That’s contrary to the perception that a decline in demand amid the economic downturn is responsible for the slump in deal flow. Early-stage deals refers to investments in fledgling firms that are yet to generate revenue. Such investment is considered riskier than growth-stage or late-stage funding, where money is put into companies that have grown enough to generate some revenue although they might not yet be profitable. Some investors are also trying to hold back as opportunities to exit investments are crimped by the economic downturn and volatile markets. “It’s about the performance of early-stage investments, where exits and performance haven’t panned out as well as expected," said a senior executive of a VC firm who did not want to be identified because the firm is in the process of raising its next fund. “Also, we want to conserve cash for our own companies that may look at funding in this market and thirdly, we would like to conserve cash as we are about to exhaust our corpus." Still, some investors that maintained a relatively low profile in previous years have been surprisingly active amid the general lull in deal making. The five most active investors this year have been Helion Venture Partners, Reliance Technology Ventures Ltd, Intel Capital, Nexus India Capital and Accel Partners India. The only VC firm to feature in the top five slots since 2007 is Helion (see graph). The performance of portfolio companies has also become extremely important for VC firms that may need to start raising funds after a year or so to replenish their dwindling corpus. Generally, a venture fund has a life span of three-five years, after which a firm starts the process of raising fresh capital. If the performance of the companies funded from that corpus falls below expectations and if no exits are made, raising another fund becomes difficult. Conserving cash to fund internal needs of the existing portfolio is seen as a prudent move if external funding sources dry up. “We do believe that investment in early-stage deals will be slower because getting follow-on rounds at decent valuations will be tough, therefore, the fund managers will have to reserve capital for their existing companies," said VenturEast Fund Advisors’ managing partner Sarath Naru. Not striking deals this year has been a sort of a “balancing act" to stabilize the existing portfolio, according to Draper Fisher Jurvetson (DFJ) India’s executive director Mohanjit Jolly. “If you strike too many deals too soon, you are left without any bandwidth to do new deals," Jolly said. “Also, this doesn’t go very well with the limited partners (LPs). If you are already on 20 boards, they turn back and say how will you take on more," he said. DFJ invests out of a global fund and made its first investment in India in late 2005. New LPs do not care about a VC firm’s legacy portfolios and look more at the ability of the partner to be on the board of new companies. DFJ has been investing in India from its $650 million (around Rs3,100 crore) ninth global fund, which was raised in 2007. Meanwhile, there are other factors as well causing a slowdown in VC investing. Some global VCs looking at the Indian market on a “fly in, fly out" basis have stopped investing because they have problems at home or have realized that it is hard to manage cross-border investments without building a strong local team. VC investing is a very local business and a fund has to have a deep understanding of the market and work closely with the founders and management teams. In tough times, it is hard to remotely manage investments. “Even where global funds have Indian team members, the local teams are finding it nearly impossible to get investments approved by their global investment committees because that depth of market understanding is missing," said Sandeep Singhal, director, Nexus Capital. VC firms that are staying idle, meanwhile, risk the possibility of putting off start-ups seeking to raise funds. Entrepreneurs may rather tap firms that are still investing regularly. “That they are showing a willingness to invest in this market also will be attractive. 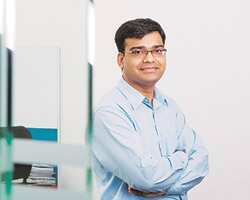 Wherever money is, flock will move towards that," said Srikanth Narasimhan, director, Veda Corporate Advisors Pvt. Ltd, an investment banker.